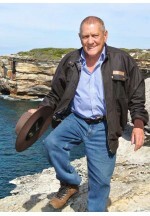 Casual wear, work, hiking, golf, hunting, travelling, riding a motorcycle .............. You are invited to enjoy the high quality of our fabrics, excellent workmanship and affordability of our Aussie 8 Pocket Jacket, 100% Australian made in our own factory located at Slacks Creek, Brisbane, Australia. 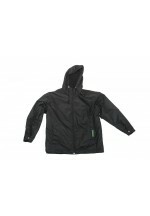 This jacket easily adapts to the familiar orange/navy or yellow/navy workwear jacket with reflective tape. 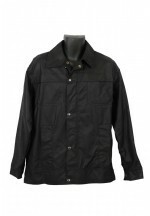 Features of our Aussie 8 Pocket Jacket include: ► Made from excellent quality Oilskin or Durapel fabric (see tabs above All about o..
Motorcycle riders value the waterproof zip cover on this jacket, also excellent for work, casual wear, golf, fishing, hunting hiking, travelling ......... You are invited to enjoy the high quality of our fabrics, excellent workmanship and affordability of our Aussie 8 Pocket Jacket, 100% Australian made in our own factory located at Slacks Creek, Brisbane, Australia. 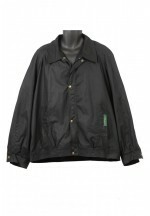 This jacket easily adapts to the familiar orange/navy or yellow/navy workwear jacket with reflective tape. Features of our Aussie 8 Pocket Jacket include: ► Made from excel.. Riding a motorcycle, casual wear, going to the club, travelling .......... You are invited to enjoy the high quality of our fabrics, excellent workmanship and affordability of our Aussie Biker Jacket, 100% Australian made in our own factory located at Slacks Creek, Brisbane, Australia. Features of our Aussie Biker Jacket include: ► Made from excellent quality Oilskin or Durapel fabric (see tabs above All about our Oilskin and Durapel fabrics). Also available in leather. ► Linings available in diffe.. 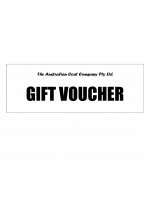 Going out for dinner or to the movies, casual wear, motorcycle riding, playing golf, travelling .......... You are invited to enjoy the high quality of our fabrics, excellent workmanship and affordability of our Aussie Brumby Jacket, 100% Australian made in our own factory located at Slacks Creek, Brisbane, Australia. 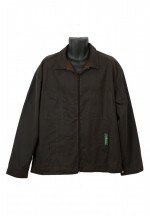 Features of our Aussie Brumby Jacket include: ► Made from excellent quality Oilskin or Durapel fabric (see tabs above All about our Oilskin and Durapel fabrics) ► Linings available in diffe..
Lots of pockets for travelling, tertiary students, camping, casual wear, skateboarding, bike riding, tobogganing in the snow ………….. Where ever you need secure pockets to carry your gear. You are invited to enjoy the high quality of our fabrics, excellent workmanship and affordability of our Aussie Hooded Jacket, 100% Australian made in our own factory located at Slacks Creek, Brisbane, Australia. Features of our Aussie Hooded Jacket include: ► Made from excellent quality Oilskin or Durapel fabric (see tabs above All about our Oilskin and Du..
AUSSIE JACKET Going to the club, to the movies, casual wear, motorcycle riding, playing golf, travelling ……….. You are invited to enjoy the high quality of our fabrics, excellent workmanship and affordability of our Aussie Jacket, 100% Australian made in our own factory located at Slacks Creek, Brisbane, Australia. 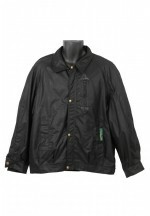 This jacket easily adapts to the familiar orange/navy or yellow/navy workwear jacket with reflective tape. 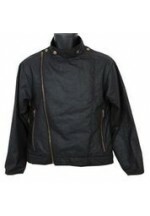 Features of our Aussie Jacket include: ► Made from excellent quality Oilskin or Durapel fabric (see tabs above All..
Old style Bomber Jacket, a pillar of fashion that will last forever. You are invited to enjoy the high quality of our fabrics, excellent workmanship and affordability of our Aussie Standard Bomber Jacket , 100% Australian made in our own factory located at Slacks Creek, Brisbane, Australia. 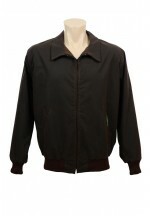 Features of our Aussie Standard Bomber Jacket include: ► Made from excellent quality Oilskin or Durapel fabric (see tabs above All about our Oilskin and Durapel fabrics) ► Linings available in different weight fabrics from .. Traditional airman styled Bomber Jacket complete with epaulets and tab collar. You are invited to enjoy the high quality of our fabrics, excellent workmanship and affordability of our Aussie Traditional Bomber Jacket , 100% Australian made in our own factory located at Slacks Creek, Brisbane, Australia. Features of our Aussie Traditional Bomber Jacket include: ► Made from excellent quality Oilskin or Durapel fabric (see tabs above All about our Oilskin and Durapel fabrics) ► Linings available in different weig..
Modern style Bomber Jacket that you can wear anywear, anytime. You are invited to enjoy the high quality of our fabrics, excellent workmanship and affordability of our Claybourn Bomber Jacket, 100% Australian made since 1910 in our own factory located at Slacks Creek, Brisbane, Australia. Features of our Claybourn Bomber Jacket include: ► Made from excellent quality Oilskin or Durapel fabric (see tabs above All about our Oilskin and Durapel fabrics) ► Linings available in different weight fabrics from co..
Smart casual or super casual, this jacket will adapt. You can wear it to go for a night out or for camping in the bush. You are invited to enjoy the high quality of our fabrics, excellent workmanship and affordability of our Claybourn Down Under Jacket, 100% Australian made since 1910 in our own factory located at Slacks Creek, Brisbane, Australia. 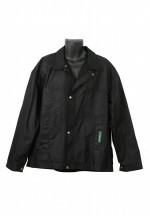 Features of our Claybourn Down Under Jacket include: ► Made from excellent quality Oilskin or Durapel fabric (see tabs above All about our Oilskin and Durapel fabrics) ► &..
Classic Jacket with great features. 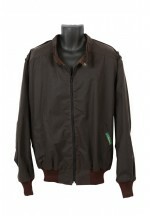 Wear this jacket anywhere from Alice Springs to Zürich. You are invited to enjoy the high quality of our fabrics, excellent workmanship and affordability of our Wildlife Man Jacket , 100% Australian made in our own factory located at Slacks Creek, Brisbane, Australia. 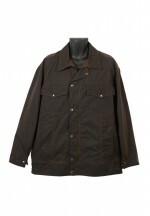 Features of our Wildlife Man Jacket include: ► Made from excellent quality Oilskin or Durapel fabric (see tabs above All about our Oilskin and Durapel fabrics) ► Linings available in different weight fabr..